Texel is the largest of the Dutch Wadden islands, north of the country and a true gem to visit. They’re a popular long weekend destination for the Dutch and ever since Lonely Planet listed the island as a ‘must visit destination’ in 2016, foreign visitors now also find their way to Texel. And rightfully so. The island, with its unique natural beauty, is well worth a visit. 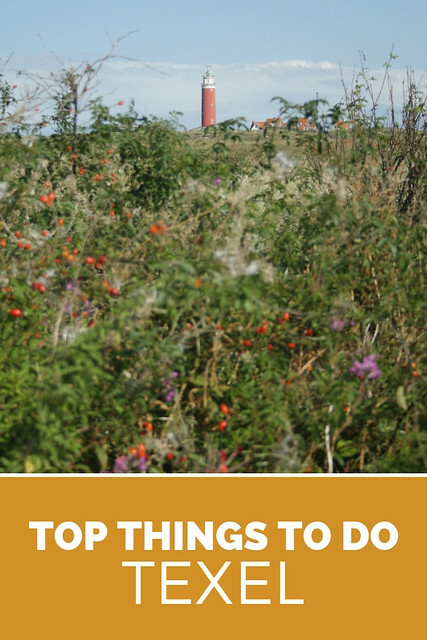 Check out these 20 things to do on Texel. The island is only 9 kilometres wide and 25 kilometres long, yet the largest of the Wadden islands, which separate the North Sea from the inshore waters of Wadden Sea. The latter is a UNESCO world heritage site, due to its unique ecosystem. During low tide sandbanks form which attracts loads of different birds and if you get close enough, you will definitely see a seal or two sunning themselves. Texel makes for an excellent weekend escape from Amsterdam and there is lots and lots to do. 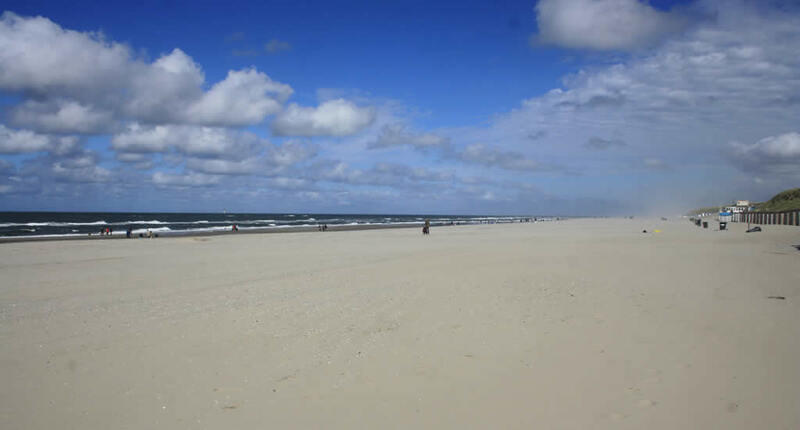 The beaches of Texel are beautifully widespread, quiet and perfect for a long walk or flying a kite. 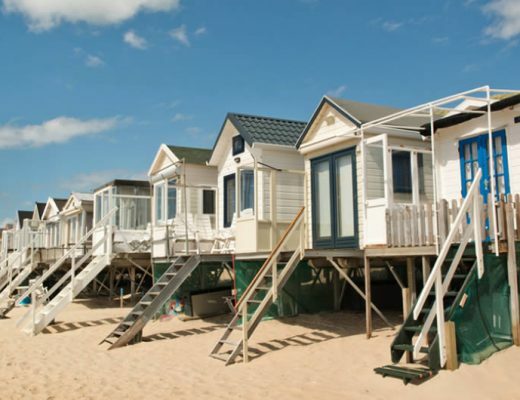 With 30 kilometres of coastline, there are lots of different beaches to choose from. Like the beach at De Koof where most holidaymakers spend a sunny afternoon and enjoy a local beer at one of the beach clubs or you can visit the beach near De Hors in the south of Texel, where you’ll be all by yourself. The Texel lighthouse is called Eierland lighthouse and can’t be missed in the northern tip of the island, near De Cocksdorp. It was built at the end of the 19th century and is 35 meters high. 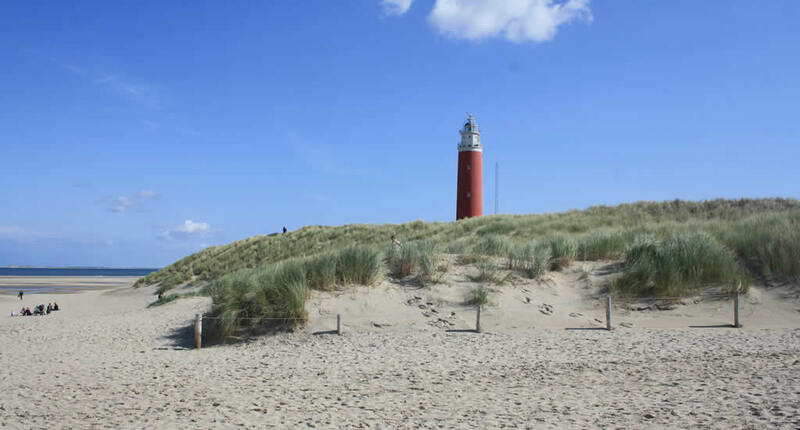 Climb the 150 steps of the lighthouse to enjoy a marvellous view from the top over the island and the North Sea, you can see all the way to neighbouring island Vlieland. I had no idea dunes could be so variated until I visited Texel. 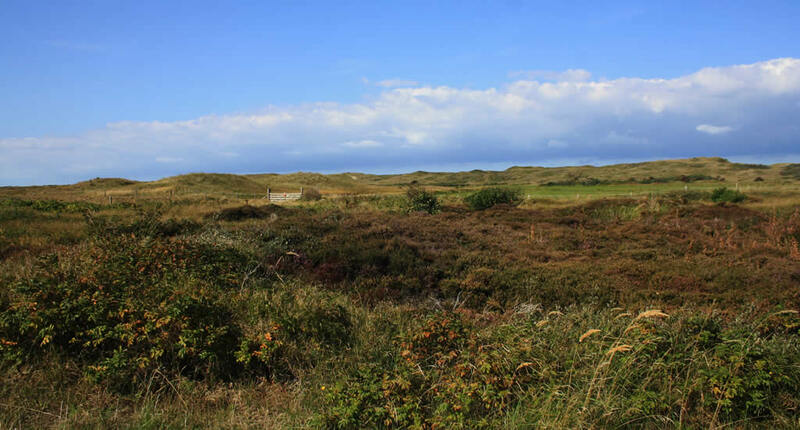 The Dunes of Texel national park basically stretches along the entire west side of the island and the landscape is mesmerizing: heather, grass, swamps, woodlands, acres of berries and wildflowers. Don’t be surprised to spot horses, wild cows and sheep. The dunes are brooding spot for dozens of birds, so if you’re a bird watcher, better take your binoculars with you. You can’t miss them when you cycle or drive around Texel: sheep. They’re everywhere! The wool of Texel sheep is of high quality and used to make blankets and duvets (having a Texel wool duvet is considered quite the luxury in The Netherlands). But even better are the lambs. At Schapenboerderij Texel you can go in for a cuddle with the little lambs are learn all there is to learn about sheep-life on Texel. When I was little I spent many afternoons in Cornwall picking my own strawberries. I absolutely adored that. So when I found out there was a garden to pick your own fruit, vegetables and flowers on Texel, I simply had to go there. De Zelfpluktuin is near Oudeschild, one of the prettiest villages in Texel. On entrance, a sign tells you which fruit, vegetables and flowers are ready to be picked. The prices are really fair. 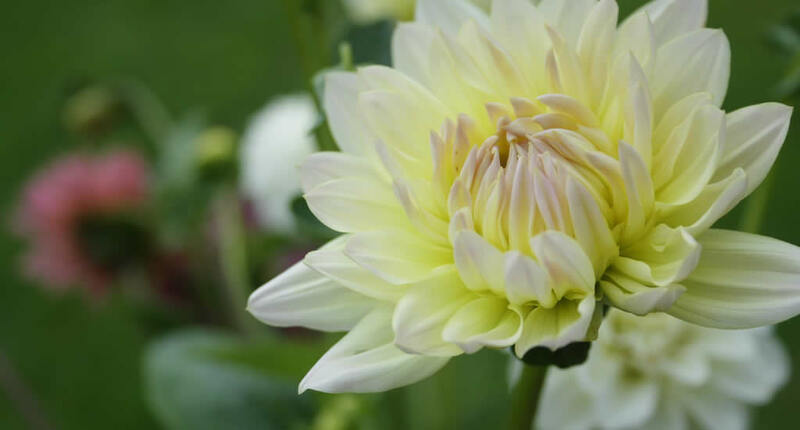 If you don’t feel like venturing out to pick strawberries, simply take a seat in the café and order a coffee and some cake or buy some homemade jams and lemonades. Down the road from Zelfpluktuin is Texels popular brewery. Texelse Bierbrouwerij used to be just a small craft brewery but managed to turn into one of the largest independent breweries in The Netherlands. 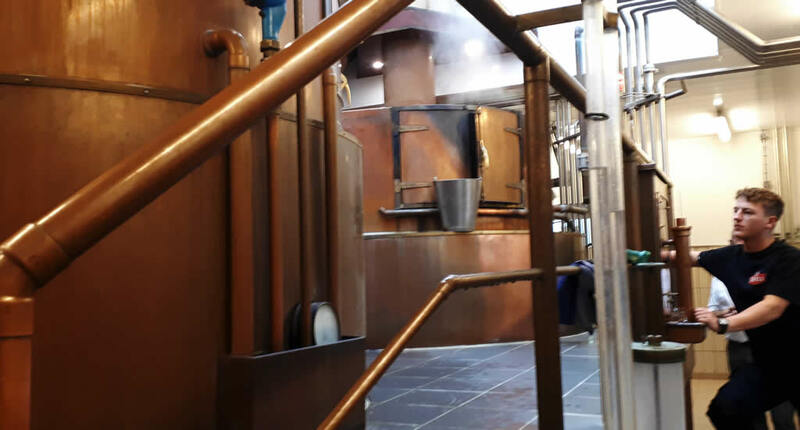 Currently, 10 beers are brewed on the premises and because filtered water from the Texel dunes is used, all beers taste really soft and mild. Book ahead if you’d like to go on a brewery tour, which includes a tasting of 4 beers afterwards. 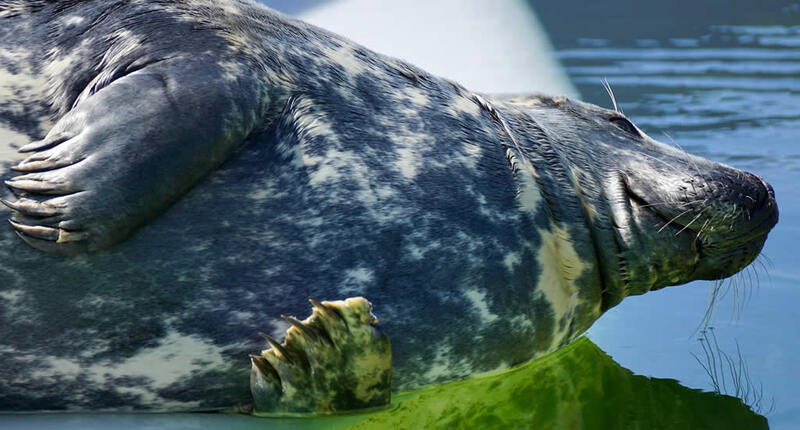 Seals are the popular inhabitants of both the Wadden Sea and the North Sea around Texel and when seals get hurt and wash up on the beach, Ecomare is where they are taken to. At Ecomare the seals are taken care off and after they’re patched up, they’re released back into the sea. But the visiting centre is about much more than just watching the seal pups being fed (too cute), but is now all about understanding what a unique ecosystem the Wadden Sea really is and why it’s so important that it will be preserved (there’s a big bubble of oil underneath the Wadden Sea, so you can only imagine the corporate vultures who’d like to get their filthy little paws on this beautiful nature reserve). It’s also a lot of fun to take a look at the aquariums to see all the different fish, including sharks, that live in the seas surrounding Texel. So, us Dutch know Texel for the wool and for the beer. And for the cheese. Now, as you read in my article about Gouda I don’t like cheese (at all, urgh! 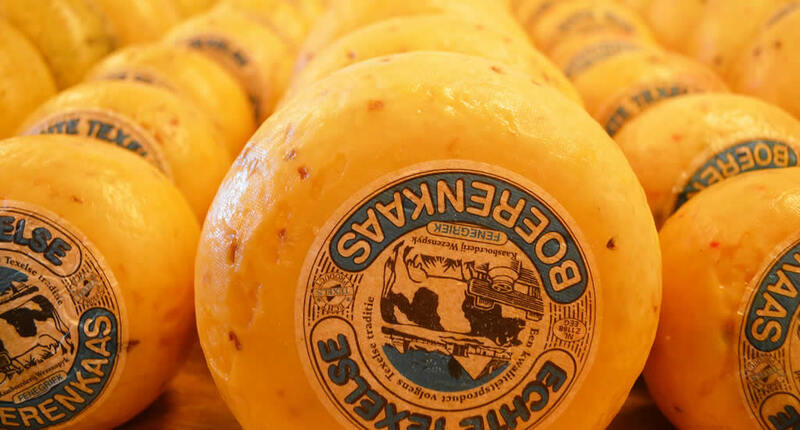 ), but cheese from Texel is, apparently, quite the delicacy and they make it best at Cheese farm Wezenspyk where you can join a guided tour around the dairy farm, do a cheese tasting or buy some cheese to take home. On low tide seals sun themselves on the sandbanks of the Wadden Sea, but they’re also quite visible from the sea. 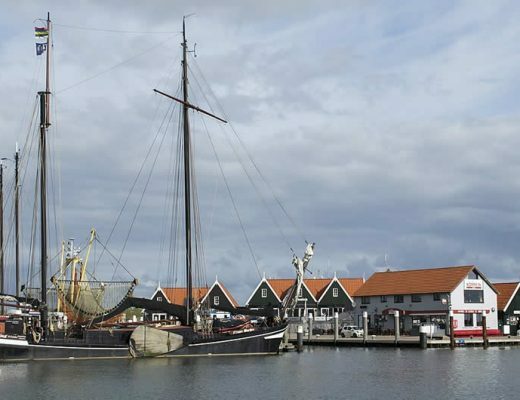 If you’d like to see some for yourself, head over to De Cocksdorp or Oudeschild and go seal spotting on a traditional Texel fishing boat. 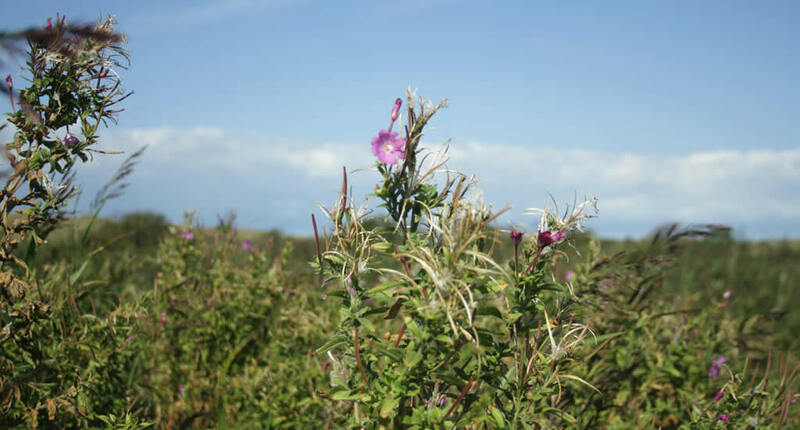 It’s also the perfect opportunity to see the unique ecosystem that is the Wadden Sea up close. Den Burg is the unofficial capital of Texel, as it’s the largest village, in the centre of the island. Most shops and restaurants are found here, and there’s even a cinema. If you’d like to go for breakfast, brunch or just coffee and cake, I highly recommend venturing to Lokaal 16 in Den Burg. 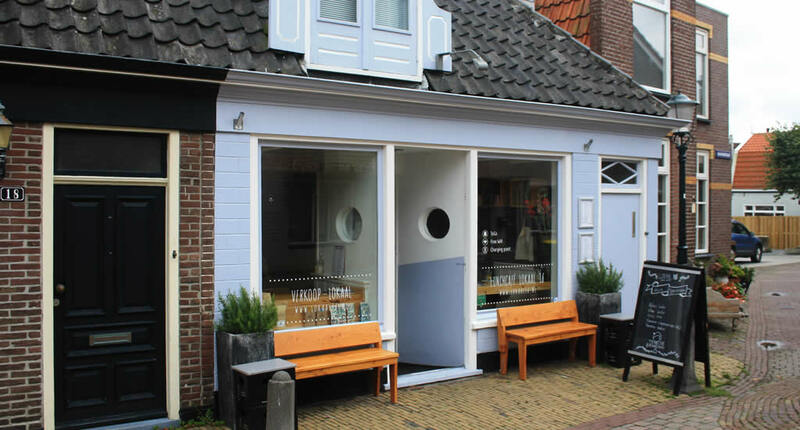 The café, with a cute little patio in the back, is set in a traditional Texel house, painted baby blue. They serve the best sweets, salads and sandwiches. Den Hoorn is probably the most Instagrammed village of Texel. And I really get why, as it has an adorable little church and many colourful, traditional, half-timbered houses. Den Hoorn is where many artists live and it’s fun to do a little self-guided art tour along the many art galleries in the village. The beach clubs on Texel are now open all year long and the perfect spot for afternoon drinks. Perched up against the dunes, watching out over the wide beaches and the rough sea, they’re a great place to watch the sunset. I especially liked Paal 19.5 near De Koog and Faro 2 near De Cocksdorp. Wine tasting in The Netherlands? Yes, there are some vineyards in The Netherlands and De Kroon van Texel is one of them. Thanks to Texel’s unique ecosystem the island is actually quite the perfect place to grow grapes and make wine. The vineyard is set at the edge of the national park, in the dunes, and you should really go and taste their dry white, which is a lot like a Riesling. If there’s only one place you should have a long lunch or extensive dinner on Texel, I’d opt for ‘t Pakhuus anytime. 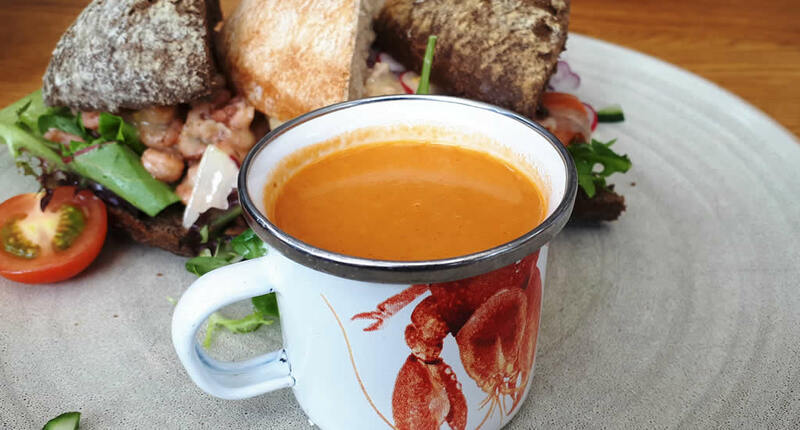 The restaurant is set in the harbour of dreamy Oudeschild, with the seal spotting kotters leaving on its doorstep, located in a beautifully renovated warehouse. The food can’t be beaten, as it’s fresh fish, caught only hours earlier in either the North Sea or the Wadden Sea. I highly recommend trying the locally grown oysters, the lobster or fruits de mer. 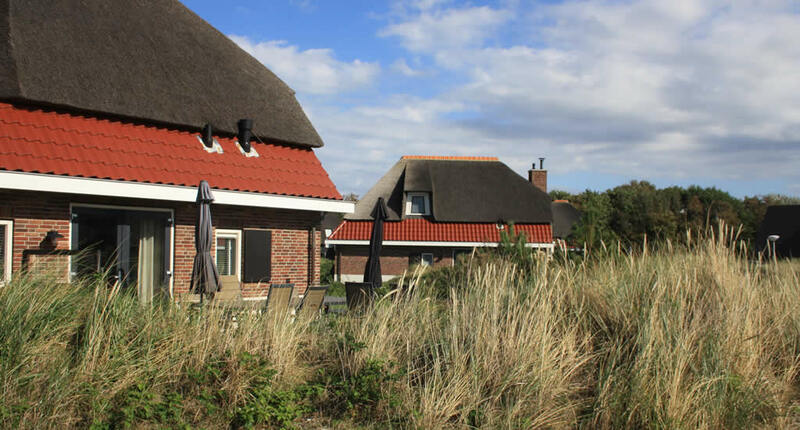 Texel has many lovely options to stay, like cosy and traditionally styled B&B’s or even a proper boutique hotel. I stayed at a cottage at Landal Sluftervallei and, even though I hardly ever stay in holiday parks, I was pretty impressed. 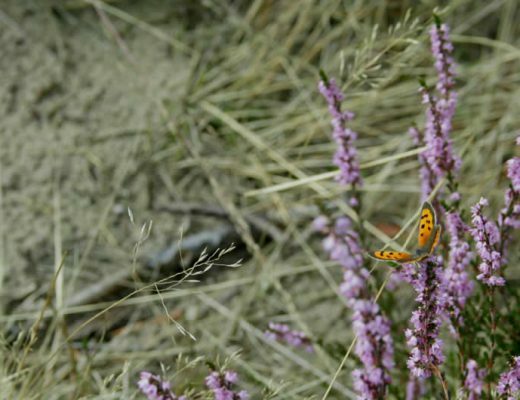 First of all, Landal Sluftervallei has tried hard (and succeeded, I think) not to disrupt nature too much when building the park and the cottages are set in the dunes, giving you the feeling that you really belong to the island. 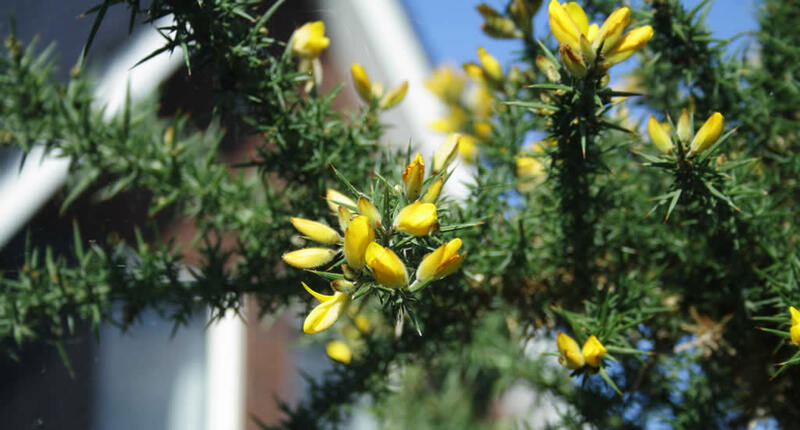 The trees, shrubs and flowers are all typical ‘dune’ flora. It’s only a short walk to the beach, though I recommend renting a bike to explore the island a little more. 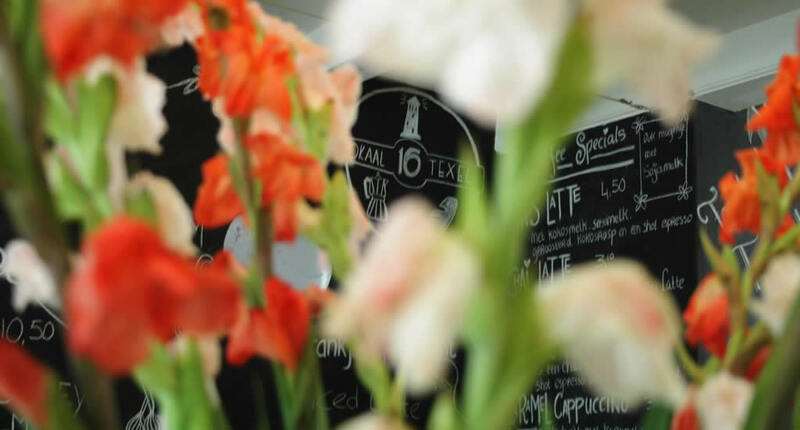 It’s only a short stroll to the lighthouse and the shops and restaurants of De Cocksdorp are a stone’s throw away. The park has an indoor pool, lots of playgrounds for the kids, a small supermarket and a (very okay!) restaurant. From Amsterdam, take the direct train to Den Helder. From the station hop on a bus to the ferry. As a foot passenger, simply buy your ticket at the ticket office. Ferries run every hour. On Texel, getting around on bus no. 28 is easy, but I also recommend renting a bike. Take your OV Chip Card, which you can charge as you go, to travel on public transport in The Netherlands. If you decide to rent a car and get to Texel, no problem. Just book your ferry ticket in advance so you don’t have to wait in line. The best restaurants on the island? 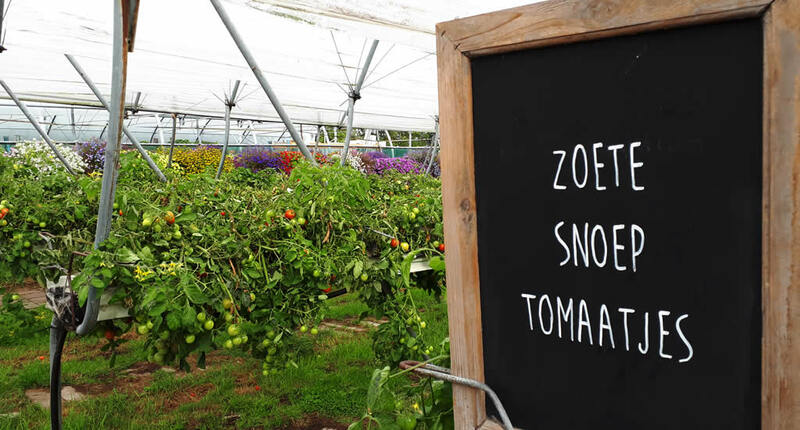 Take a self-guided food tour on Texel. Check out all info on Texel in my complete Texel travel guide. Oh I’d never heard about Texel before, but it looks wonderful! Recently my partner and I have been debating moving to the Netherlands because it has so much beauty. We were in Leiden last year and our friends recommended going to Katwijk and we loved the coast, so beautiful! I think that because The Netherlands are so small a lot of people don’t think it could be so diverse, but it is. I hope my website shows a little of this to you. Thanks for stopping by! I’d never heard of Texel until now and now I really want to go. It looks like such a wonderful place to visit and I want to do ALL the things – so much fun! Would really love to explore the Netherlands’ beaches! I’ve heard of this town before and its beaches but there definitely seems to be more to do here than I had originally thought! Haha! Het heeft voor mij 36 jaar geduurd, voordat ik er voor het eerst kwam! Ik kom uit het zuiden van Nederland en dan ben je immers sneller in Parijs (en zelfs Londen!) dan op Texel. Texel is new to me, and I’m glad to know about it! The wide, uncrowded beach is lovely. And I would certainly love to try the seafood. Oh, the seafood was mindblowing, really good, I think you’d enjoy it. Texel looks like a really lovely place to visit. I visited the Netherlands a few years ago and fall in love with the country. I will definitely come again and take the time to visit Texel as well. Oh, I really hope you’ll come back soon. There are so many places in the Netherlands that I’ve never heard of. Texel looks like it has everything, wine, cocktails, beer and I think you mentioned some other things that weren’t alcohol related, Looks like a great place to visit. LOL! Yes, I’ve read somewhere that Texel is also quite fun without alcohol, haha! The beaches are the finest I’ve ever seen in The Netherlands! Oh wow! Craft beer, cheese, wine, seafood, beach cocktails, fruit picking, and baby seals – why have I never heard of the Texel before?! It looks wonderful, thank you for sharing this gem with us. Wow, I’ve never heard of Texel but it looks amazing! Looks like a great escape with plenty of great food and drink as well as nature! Love it and definitely will be bugging my Dutch friends to show me around! Oh you should, it’s an amazing island!